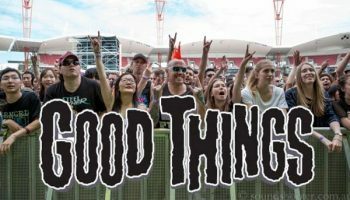 Interview: Derek Sanders of Mayday Parade Talks Good Things Festival – Spotlight Report "The Best Entertainment Website in Oz"
American rockers Mayday Parade are heading back Down Under to play at the first Good Things Festival this December. We were lucky enough to catch up with the band’s frontman Derek Sanders in order to find out more about their top picks of Good Things line-up, touring the world and more. SR. You Guys are playing the very first Good Things Festival. How good is that! DS. It’s an honour and we are super excited to play at the festival. We did not know the line-up when we agreed to play, and after seen the bands playing we are super happy we made that call. The line-up is huge, and it’s a great thing for Australia to have this festival,especially now that Soundwave is not there anymore. SR. What bands from the line-up are you most looking forward to see or hang out backstage? DS. I’m such a fan of The Used, it’s a great band and their shows never disappoint. 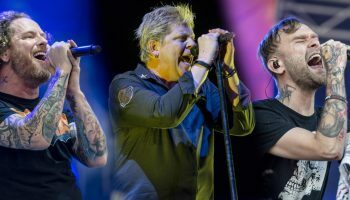 I’m also super excited to see the likes of Dashboard Confessional and of course The Offspring, as it has been a long time since I saw them live. SR. What are your favourite Australian bands today? DS. Tonight Alive, who is also playing at Good Things are fantastic. I’m also a huge Silverchair fan. 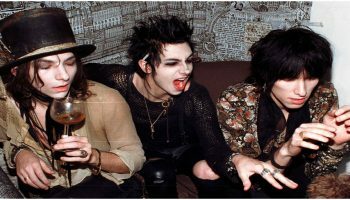 SR. You guys tour Australia quite often and have a huge fan base here. Just wondering if you have any tradition here in Oz during your visits? DS. We like to go to the Koala Sanctuary when we are here, it’s such a beautiful experience and the place is fantastic. It really shows how you Australians take care of your native wildlife. SR. Mayday Parade is known for being one of the most hardworking bands out there. You guys tour non-stop and still have time to release new music, with Sunnyland being your latest release. How the crowd have reacted to your latest singes so far? DS. It has been great, the vibe is very cool. Honestly, we work hard because we love playing live for our fans. It has been really cool seen the crowd sing out loud new songs like “Piece of your Heart” and going nuts with “Never Sure”, which is currently my favourite song…we are actually opening with that one. SR. There is this new trend of playing full albums live. The Offspring is actually playing Smash in full at Good Things. Just wondering what’s your take on those type of shows? DS. We actually did something similar while ago too. It actually makes sense doing those type of shows, as it’s something very unique and special for fans. I strongly believe that it’s great to celebrate highly successful albums, the fans deserve it. SR. What’s the funniest thing that ever happen to you while on the road? DS. Dunno if funniest, but I find amusing when fans come to our shows dressing in very odd costumes. Also in this tour we got a couple proposing on stage which was a very cool experience. SR. Just to finish, any message for your Aussie fans ahead of Good Things? DS. Just thanks for the support all these years, we love touring Australia and we cannot wait to play at Good Things. We are looking forward to see you all there!